The John F. Kennedy Presidential Library is now on Flickr! We’re pleased to announce the launch of a new National Archives Flickr page, a crowdsourcing pilot project featuring images from the White House Photographs collection at the Kennedy Library. As metadata catalogers, we are eager to explore ways in which community participation can be a useful resource for professionally cataloged collections and archival institutions. The White House Photographs collection is comprised of approximately 30,000 photos taken by three principal photographers: Robert Knudsen, Abbie Rowe, and Cecil Stoughton. The collection documents the President’s activities at the White House and his official trips; the President and his family at the White House, at other residences, on vacations, and at other non-official times; Administration officials and members of Congress; White House staff and visitors to the White House; and White House rooms and grounds. To date, the Kennedy Library has digitized and cataloged approximately 11,000 images from this collection. We have selected 36 images of unidentified administration staff members and associates for our first Flickr set, “Who am I? Can you identify these staff from the JFK Administration?” Despite thorough research, we have been unable to identify certain people pictured in these photographs and hope to tap into the knowledge of historians, former Kennedy administration officials, and anyone else who may be willing to contribute information. We have shared this Flickr set with the White House Historical Association and the Office of the Historian and hope to reach additional experts at other relevant organizations. JFKWHP-AR6403-A. 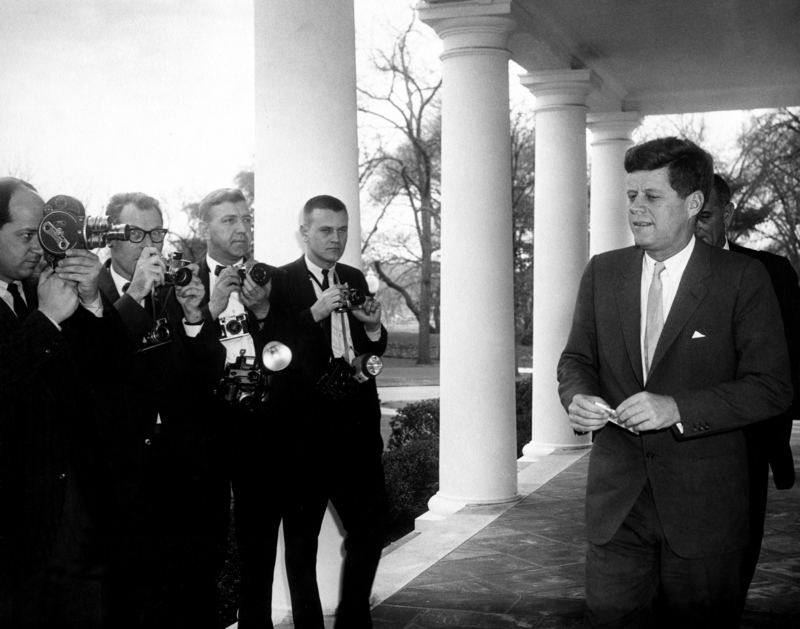 President John F. Kennedy with Photographers, 6 March 1961. View photograph record here. We were able to identify one of the four photographers pictured in this image of President John F. Kennedy attending the 20th Annual Westinghouse Science Talent Search. United Press International photographer James K. W. Atherton stands fourth from left. Do you know any of the other photographers? JFKWHP-KN-C21483. 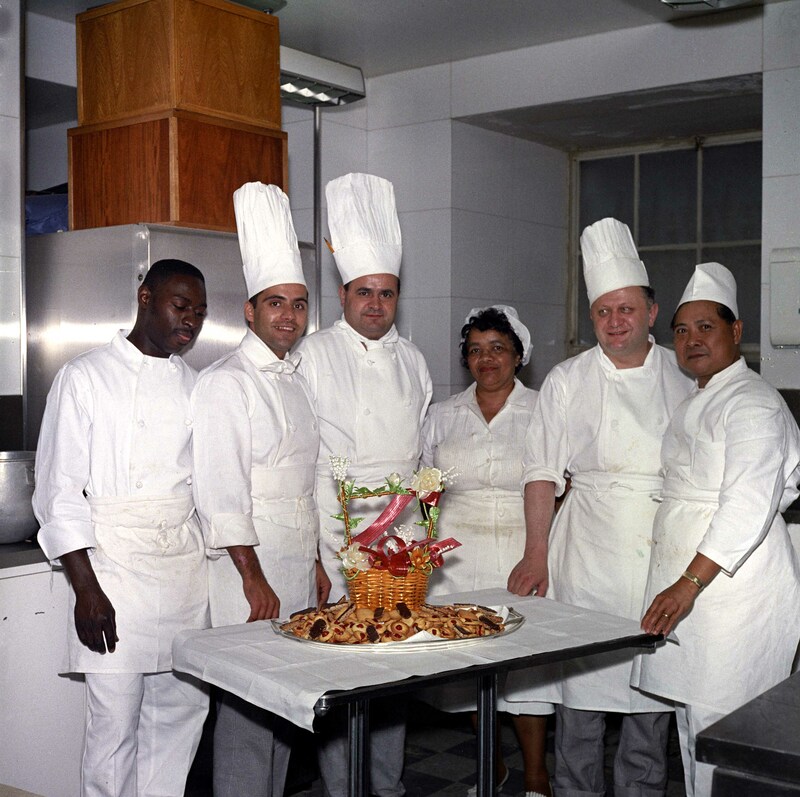 White House Chefs and Kitchen Staff, 3 May 1962. View photograph record here. Can you identify the White House kitchen staff standing with White House Executive Chef René Verdon (third from left), Assistant Chef Julius Spessot (second from left), and Pastry Chef Ferdinand Louvat (second from right)? JFKWHP-AR6530-A. First Lady Jacqueline Kennedy Attends White House Reception, 19 April 1961. View photograph record here. 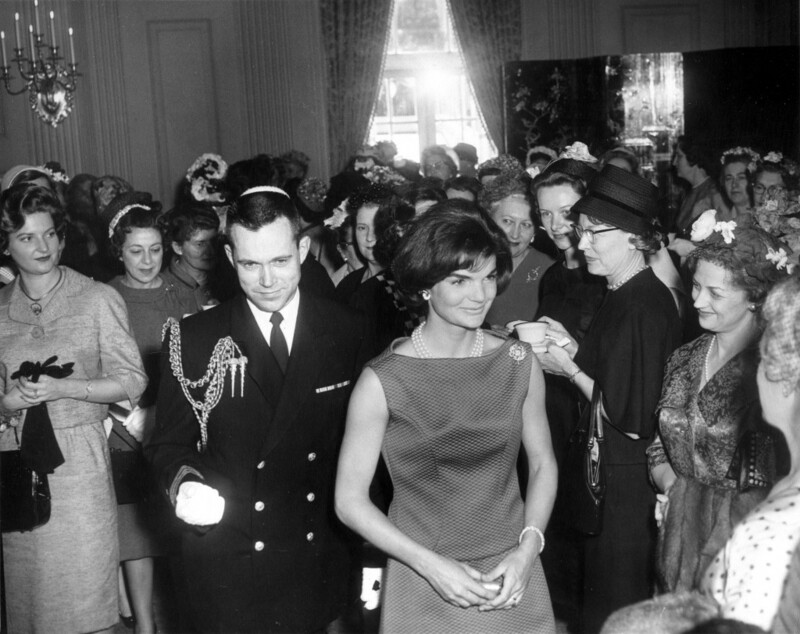 The social aide pictured at left in this photograph with First Lady Jacqueline Kennedy appears in many of our photos, but we do not know his name. In this photo, he stands with the First Lady during a reception for wives of members of the American Society of Newspaper Editors. JFKWHP-KN-21436. President John F. Kennedy with Unidentified White House Staff Member, 7 May 1962. View photograph record here. 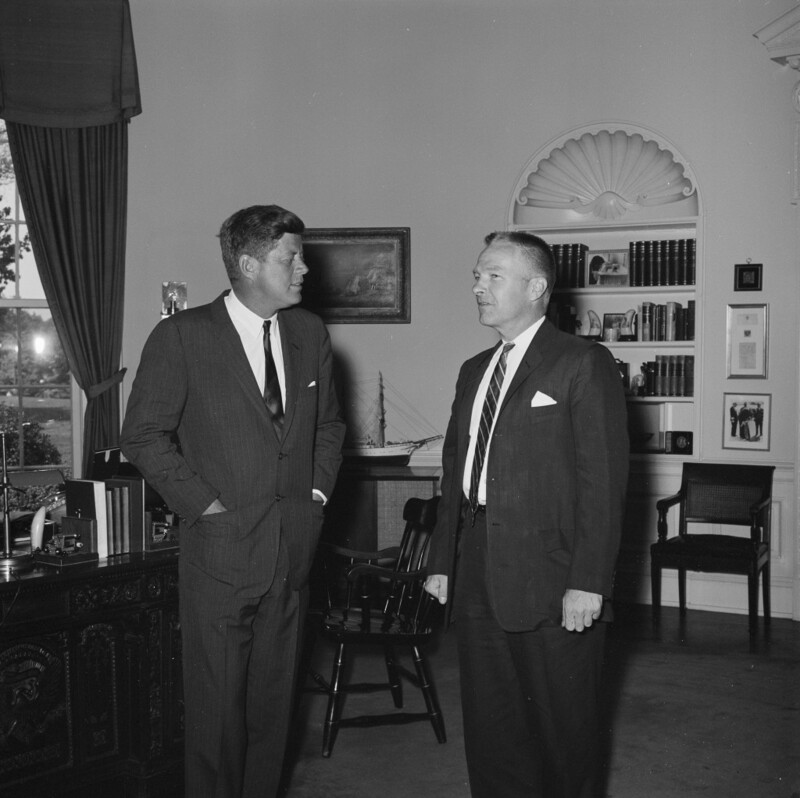 In this photograph, President John F. Kennedy stands with an unidentified man. Our sources indicate that the man might be a White House staff member, but we cannot confirm this, nor do we have a name for him. To submit information regarding a photograph, simply sign in to your Flickr account (or create one) and post a comment or add a tag, making sure to include any relevant sources. Our catalogers will review the comments submitted by users and incorporate that information into our metadata when applicable. Creating a Flickr account is easy and free. We look forward to hearing from you!